Hi, and welcome to the final day of the Whole Lotta Bag Along. We have finally reached the very last stage of assembling the bag, joining the inner and outer. 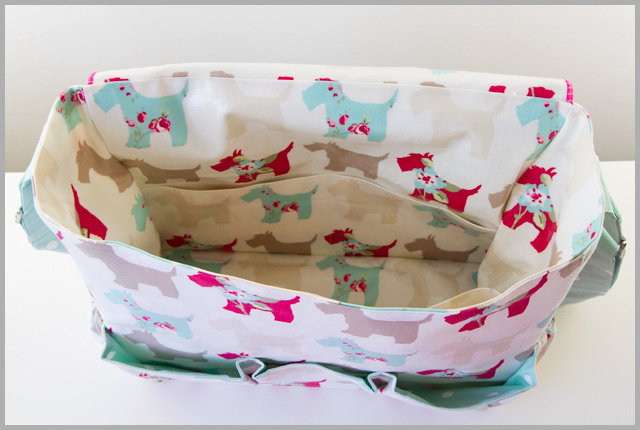 If you want to be sure everything fits snugly, you might want to turn the inner bag over an extra 1/8″ or so. When folding over, make sure the side seams are opened out, so there’s less bulk when you try and sew round the corners. When doing the foldover at the tops of both the inner and outer bag, it’s useful to pin or Clover Wonder Clip the folded over bit in place, especially with heavier materials that might spring back up again even after they’ve been pressed. On the outer bag, you will have basted the flap to the back of the bag, however if that was less than the seam allowance, you will have to turn over the top so that the seam is slightly below it on the inside. 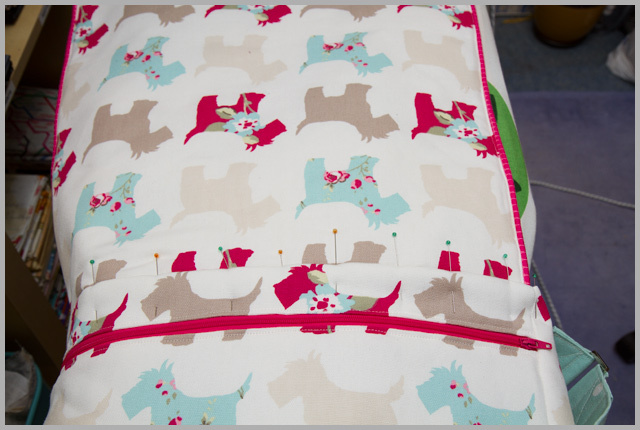 I usually use the fusible fleece as a guideline to where the fold over should be. I especially make sure I pin this part before I try pressing it. Note that the pins go vertically, and I king of weave them through from outer, to flap seam allowance, to outer again. 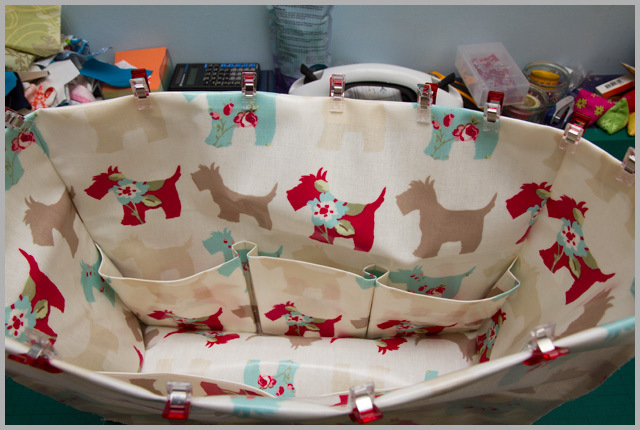 When I’m pressing, I hook the bag over the end of the ironing board and rotate it round as I press. When I put the lining inside the outer. I pin vertically as I go, making sure, if I’m using laminate for the lining, that I only catch the seam allowance with the pins. To make it more secure with the laminate, I use Wonder Clips between the pins. If you’re not using laminate, tack the flap part to make it easier as per step 129, but for laminates you’re going to have to very carefully pin as you did in the point above. 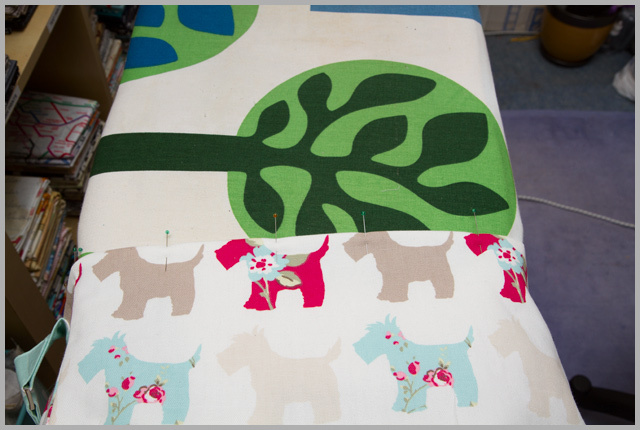 It’s crucial to get this part to line up, as at this point you’re effectively sewing blind, and can’t see if you’ve caught the lining until you take it off the machine again. 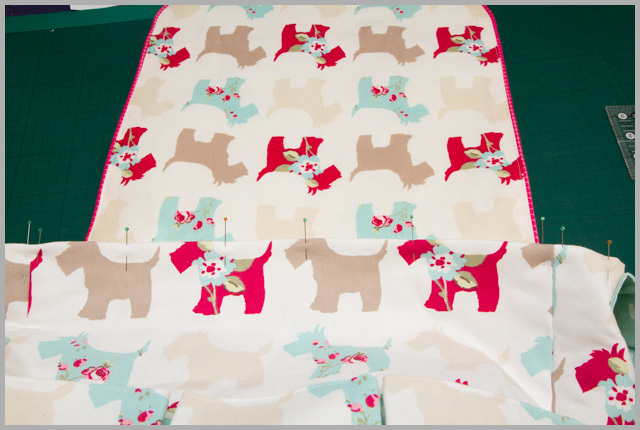 Sew this really slowly and carefully to make sure your seams stay lined up. I’m normally a speed demon with my machine, so when I say go slow, it’s from bitter experience! 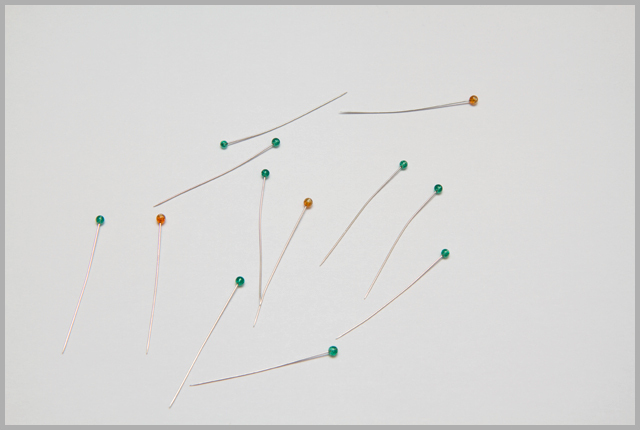 Finally, I apologise if you have a pile of pins that look like this after this final part! Congratulations, you now have a bag! As ever, if you have any problems or questions, please let me know. 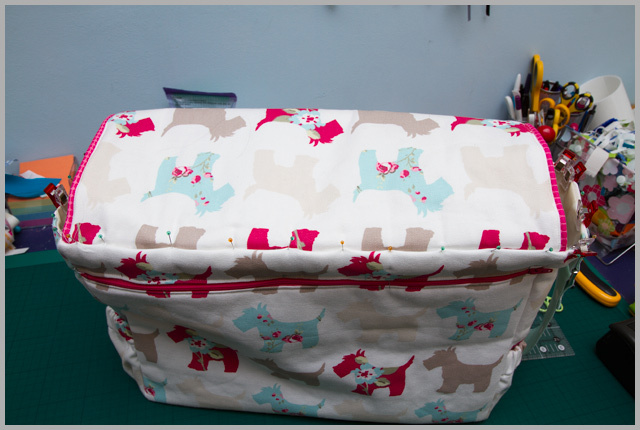 Your sew-along bag is stunning and I'm looking forward to seeing what other people have been making! Whoooooo Hoooooooooo…by now everyone should have fabulous bags that they can proudly show off and use ! Great going guys! It looks gorgeous! 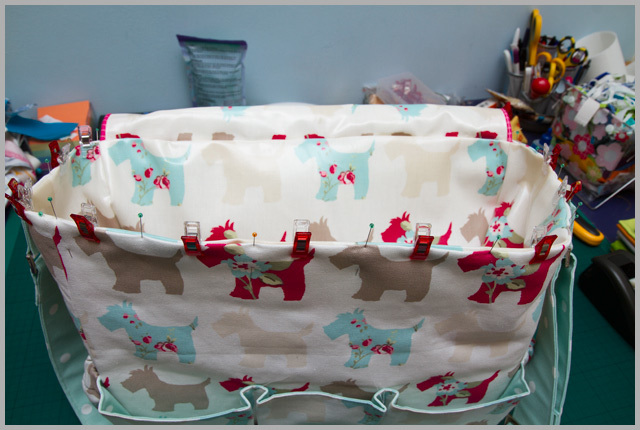 I love the fabrics you used … trying to get clips for the next bag. It makes a lot of sense to do it that way now and looks so much easier. Looks fab, well done, you made it look effortless! It looks great!!! I can't wait to see everyones bags! 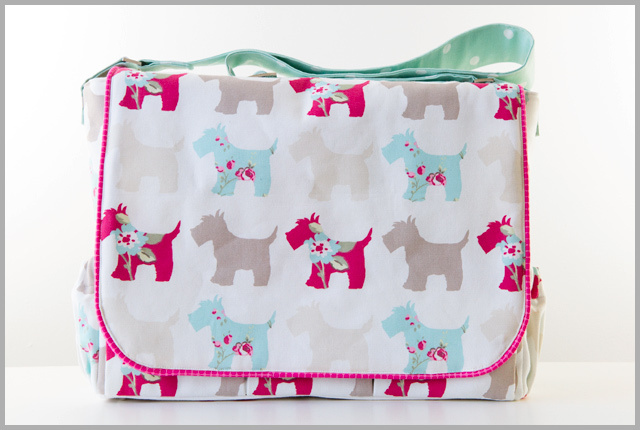 Love your Scottie bag – I really need to get some of those Wonder clips but they are hard to find here in Australlia!! One of these days….. I will have to jump on the bag making wagon. 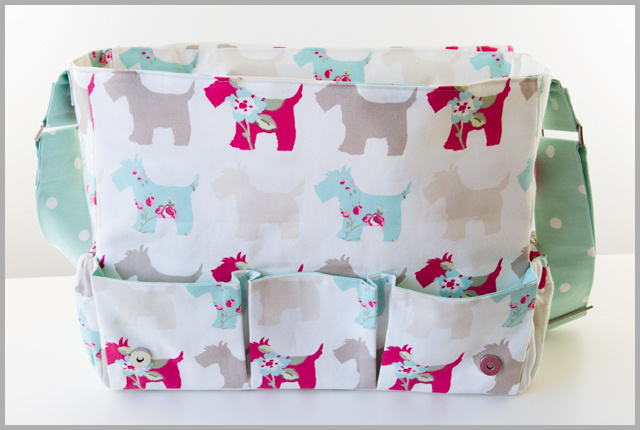 Your bag is super sweet and I love those Scotties!